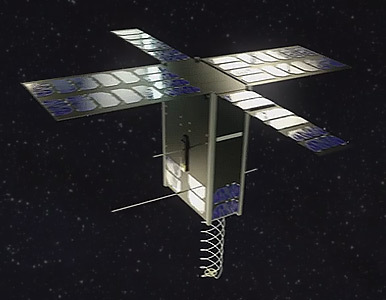 The Hiber 1 and 2 are 6U CubeSat pathfinder missions for Hiber Global's (formerly Magnitude Space) planned communications Cubesat constellation. The Hiber constellation is to consist initially of 18 to 24 cubesats, later to expanded to 50, which are designed to provide connectivity for IoT (Internet of Things) sensors and devices that run on very limited power and are not latency-sensitive. The 6U CubeSats are being built by ISIS. The payload is built by Hiber Global and integrated at ISIS into the satellites. The Hiber 1 satellite was launched as a secondary payload on an Indian PSLV rocket in late November 2018. The second satellite, Hiber 2, was launched on Spaceflight Industry's SSO-A multi-satellite launch on a Falcon-9 v1.2 (Block 5) rocket. In 2019, a Hiber satellite is to be planned to be launched on a dedicated Vector-R rocket. The company plans to start their services with the initial prototype satellites, and more cubesats are planned to launch in 2019 and 2020, increasing service quality.